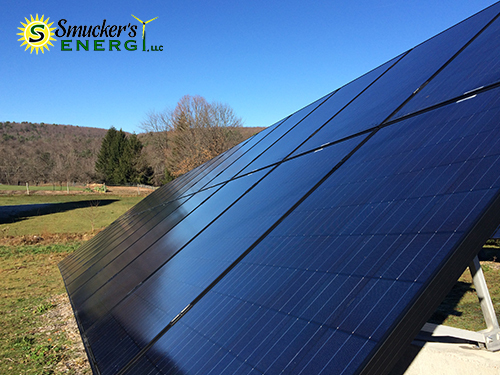 A step-by-step, start-to-finish overview of a Smucker’s Energy Residential system installation and start-up. 14.7KW Single-Phase Ground Mount Grid-Tied Residential PV System with both Enphase and string inverters (designed to offset 100%+ of the home’s electric usage). 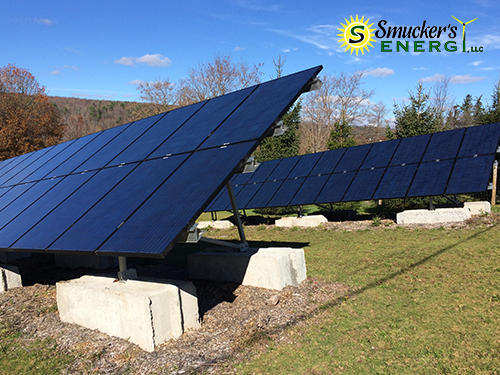 This system, located in upstate New York, was for the purpose of offsetting 100% of the homeowner’s electrical usage. Because the orientation of the house was not ideal for accommodating solar panels, it was decided that system would be installed in the back corner of the property’s horse pasture. The client was then presented with a contract, complete with the installed system price and a financial analysis detailing return on investment and projected payback time. 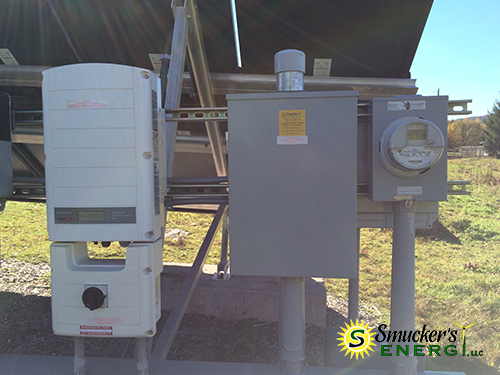 Once the signed contract was secured, Smucker’s Energy began the system design and paperwork. The PV system size was determined to be 14.7KW and the type of system was decided to be a grid-tied ground mount, with three arrays: two arrays of 24 panels, each outputting 6.12KW, and one smaller array of 12 panels outputting 3.1KW. To the customer’s specifications, a combination of SMA and Enphase inverters were planned for the system to meet the objective of comparing micro inverter and string inverter performance. Once the design is complete, fully engineered drawings of the system were generated, including the site plan and one-line electrical drawings. Once the electrical drawings were complete, the permit application was submitted. At the same time, the Interconnection Utility Agreement (Part A) was submitted. 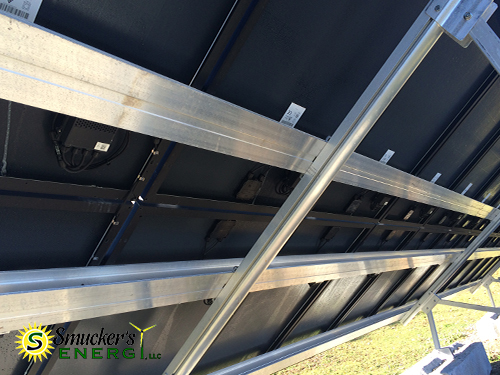 The drawings were also reviewed by the Smucker’s team of technicians and electricians who would complete the installation, and an installation plan and schedule were created. Additionally, the drawings were submitted to the New York State Energy Research and Development Authority (NYSERDA) for their review in order to secure funds from the NY-Sun grant program. Since this system was under their 25KW maximum for residential installations, it was eligible to receive funding. While these various forms were under review, the ordering of the specific components (modules, inverters, and racking) for the system took place. After the permit and letters of agreement were received from all entities, installation of the system began. The first step in the installation was to measure and mark the area for the ground mount as well as the for the wiring trench. For this system, some landscaping took place in the corner of the pasture to properly position the concrete bases supporting the system racking. After the excavation of the trench, wires were pulled through the inlaid conduit from the arrays to the utility interconnection on the side of the house. A disconnect is also added that allows the power from the PV System to quickly be disconnected from the grid for servicing or emergencies. 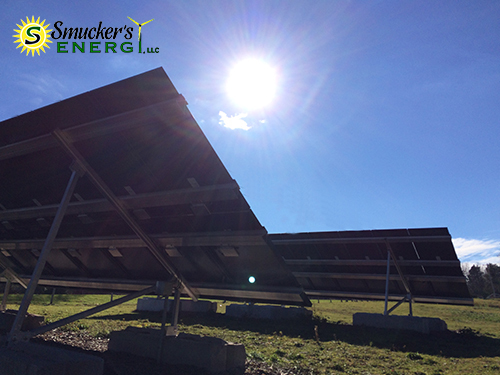 Back at the site of the system, the ground mount racking was assembled and the panels and inverters attached. Careful testing took place to ensure that all components were properly connected. With the installation completed and tested, arrangements were made for inspections by the local municipality and the utility company. Following the inspections, a final interconnection approval was given by the utility. Additionally, an NYSERDA technician performed an inspection on the system to approve the transferal of funds from the NY-Sun grant program. Once the utility’s final approval letter was received, the system was turned on began supplying the homeowner with energy and sending excess power to the grid. Currently, New York State does not have a green energy credit market for systems that produce renewable energy, but systems are still required to monitor their own products should this market come into development—credits generated from production prior to the establishment of a market could still be eligible for resale. 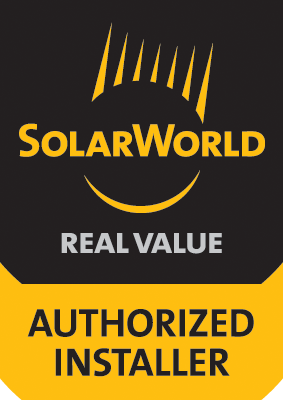 System owners receive 1 Solar Renewable Energy Credit (SREC) for each 1,000KWH (1MWH) of power the system generates, which can be sold in the SREC market (much like that of a carbon market model). These credits are accumulated regardless of whether the client uses the energy the system produces or if it is pumped back into the local utility grid.